Having low productivity in the workplace is not something uncommon. Researches show that employees are only 60% as productive in their workplaces as they could be. Due to this, businesses are not able to satisfy their customers’ demands, which leads them to losing billions of dollars every single year. So, why is this happening? 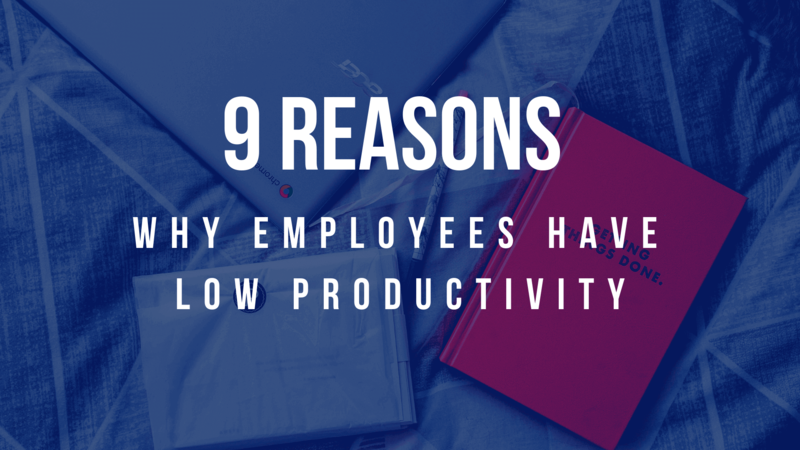 Keep on reading and find out what are the 9 most common reasons why your employees may suffer from low productivity levels in the workplace. If you go online and check whether multitasking is good or bad, I am sure that you will find a plethora of sources, each one of them telling you a different thing. However, did you know that according to a research from Bryan College, millennial employees (which are the main working force nowadays) cost the global economy around $450 billion dollars annually because of their multitasking habits? Now imagine the cost when you add the rest of the working population. If you are a CEO of a company or a senior manager, you would probably want to hook up your staff with as many tasks as possible, thinking that this way they will never be in a position where they’ve got nothing to do. If this is really your approach, I would suggest you think about it twice. Imagine that there are two projects (A and B) that need to be done and each one of the two takes 1 week to be completed. Now, let’s say that your colleagues start working back and forth on the two projects, without focusing their attention on neither one of them. Both projects will be finished after 2 weeks, however trying to do as much work as possible will delay Project A for 1 entire week with no benefit to Project B. Instead, when your team members concentrate on one project at a time, they will be able to finish Project A within 1 week and Project B within 2 weeks. Another big issue that causes low productivity is workplace stress. 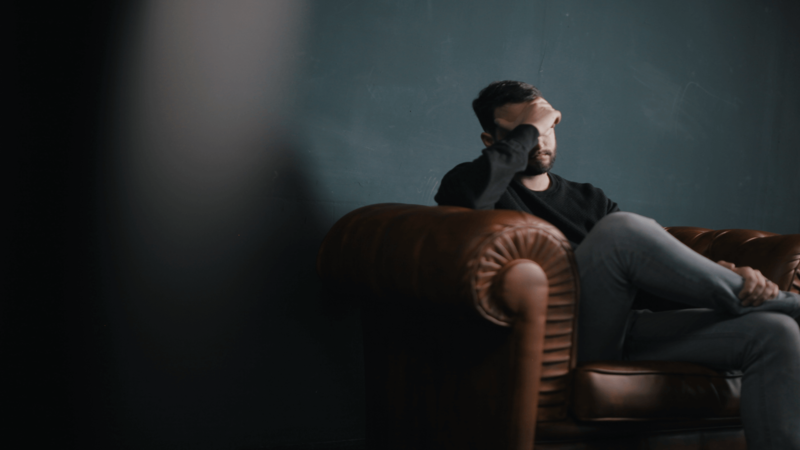 A study by Health Advocate shows that there are about one million employees who are suffering from low productivity due to stress, which costs companies $600 dollars per worker every single year. When your colleagues are being pursued by job-related anxieties, they lose concentration, get distracted and are unable to complete their tasks in the best possible way. They may jump from one task to another, thinking how to best utilize their time and finish as much work as possible. This will lead to multitasking and as we already know, that is not a good thing for productivity. Another reason for the increased stress levels in an organization is when your team members are being overburdened with too many tasks at once. Imagine seeing your colleagues constantly distracted by the next task that they need to work on and not being able to focus their attention on one thing. Do you think that they will be productive? I doubt it. 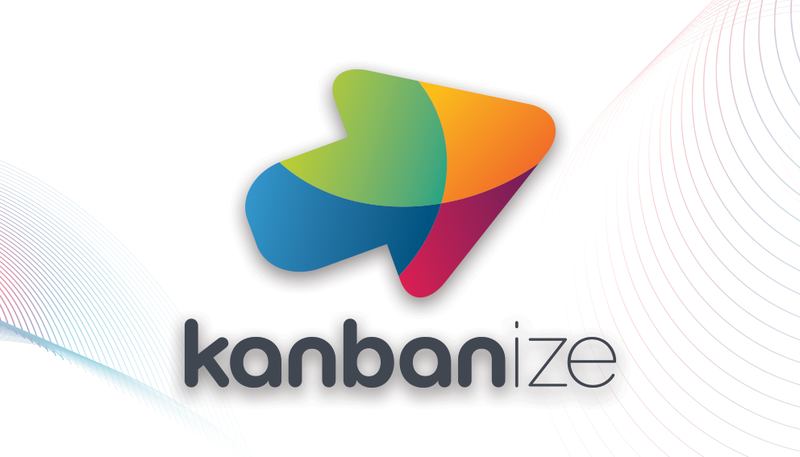 This will accumulate unnecessary waste in your organization, which in Lean is known as Muri. In case your workplace is too stressful, you should start thinking of ways how to change that, otherwise, you will be faced with the problem of having significantly low levels of productivity. An important reason for low employee productivity might be the fact that they do not feel that they belong with the company that they are part of. It is important for every CEO or senior manager to make sure that the environment in their business is welcoming to new hires and does not make them feel underappreciated. Before hiring you should communicate the principles and values of your company first to make sure that everybody shares and will follow them in the future. Otherwise, the probability of your new workforce being less productive than the rest will increase, just because they will feel that they are not in the right place. Providing employees with acknowledgment of the good work that they have done is one of the easiest management tasks. However, it is also as easily neglected. For instance, a study in the financial sector shows that only 20% of employees feel strongly valued at work. When the workers at one organization are not being recognized for the efforts that they put in, they get demotivated, which decreases their productivity. Once this happens, CEOs will start facing the problem of unhappy employees, whose attention will not be directed towards doing their work in the best possible way. Instead, they will be sending out resumes and applying for different jobs. Recognition is the highest form of feedback and it is simple to provide. 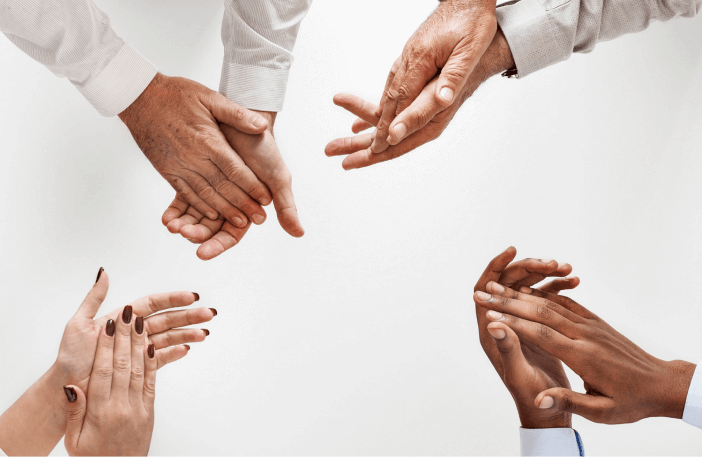 If you are a senior manager, make sure that the people in your organization feel valued simply by telling them encouraging words such as “well done”, “great work” and “thank you”. I promise you that they will feel much better about their position in the company, which will increase their productivity. Setting up rules for a good behavior between people in your organization is crucial to their productivity. 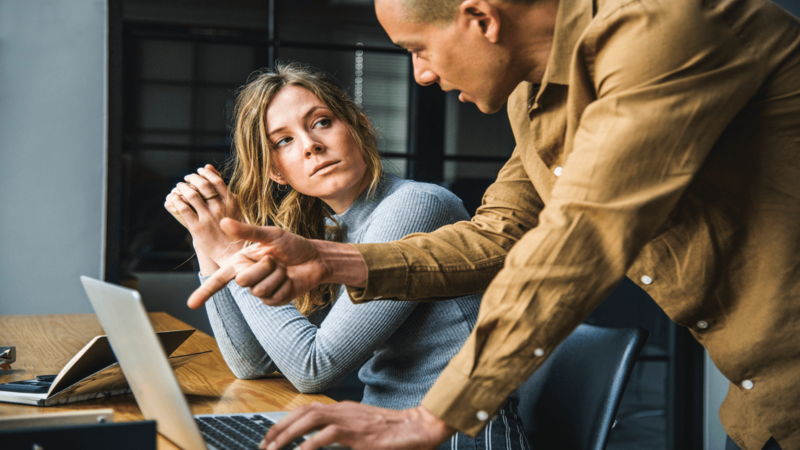 You may be thinking that bullying in the workplace is a thing from the past, however, there are still many employees that suffer from it. Often, toxic behavior in the workplace happens because there are some people trying to sabotage and manipulate the work environment. This can be more often seen in bigger organizations, where some employees use sneaky methods in order to advance their careers and climb higher the corporate ladder. This type of behavior will make the affected team members unhappy, which will force them to think about their position in the company in the long term. Do you think that people will remain in your company if they do not see a future in it? I seriously doubt it. You may be thinking: “OK, but what should I do about that?” It is simple – the solution to every problem starts from communicating it with the necessary people. When you want a positive change to happen, you need to set-up a continuous flow of knowledge sharing between you and your team in the form of the so-called “feedback loops”. This way whatever the problem in your business is, once you manage to find it early, because of the feedback that you have generated, then you will also succeed in eradicating it much easier. Another major reason for your employees’ low productivity could be the bad organizational structure within your company. This might take many forms but usually happens when you fail to optimize your workflow in the best possible way. Very often, there are situations, especially in bigger organizations, where there is a lack of coherence between departments. All of the individual parts of one company must work towards the achievement of the same goal. Even if there is a small confusion regarding who is responsible for what, then the probability of having low productivity in the workplace will increase significantly. A solution to this problem lies in the form of synchronization. Everybody on your team should know what the others are working on and what is the progress on the tasks at hand. 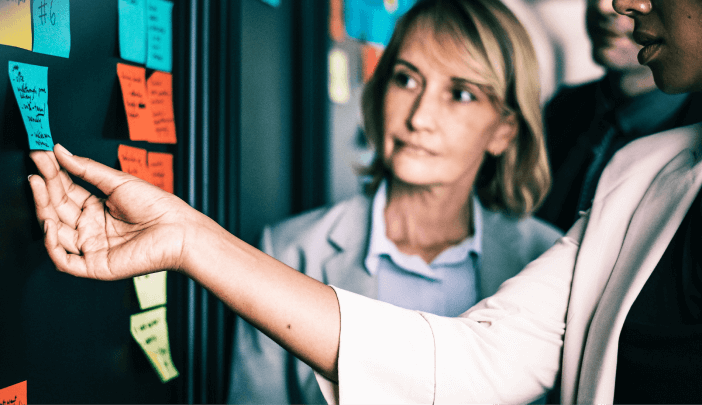 This can be done with the help of a visual management board that will allow every single member of your team to move tasks from “Ready to Get Started” through “In Progress” to “Done”. 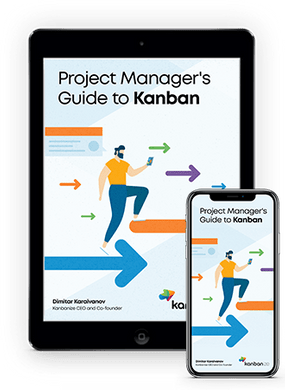 This strategy is central to the Lean management methodology as it will align your team efforts and provide you with a structure that creates productivity and efficiency throughout the entire business organization. 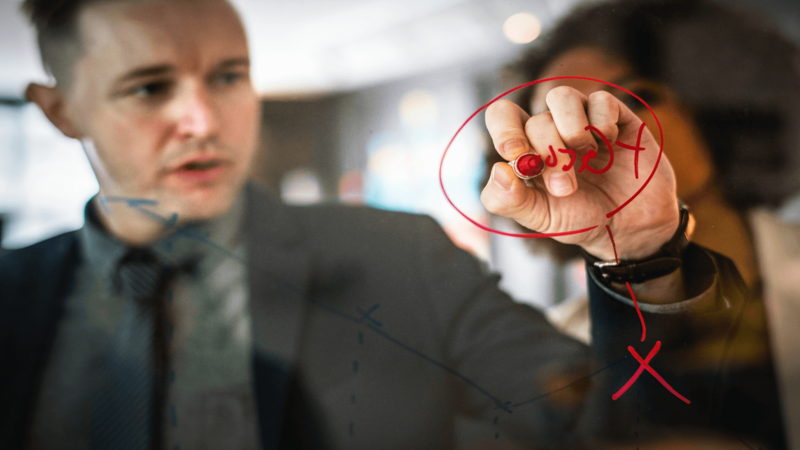 Having meetings is an integral part of any company because this is how ideas for business growth are being generated, different forecasts – discussed and team performances – evaluated. In many cases, however, organizations tend to schedule meetings between employees for even the smallest cases. This is a wasteful activity that consumes a lot of the time of your workers and thus leaves them unproductive. A better approach would be to use daily stand-up meetings where your team together goes through tasks that have been finished, are in progress or will soon get started, achieving a perfect synchronization between one another. Another major reason for low productivity levels in the workplace is poor management. Researches show that nearly 80% of employees have experienced bad management, which demotivates them to give their best for the company that they work for. There are still many managers in organizations who tend to micromanage their subordinates and take the form of bosses whose only job is to require more and more. In today’s world, this tactic does not work any longer. Businesses nowadays do not require bosses but instead leaders who drive change and carry their companies forward. In order to see your worker’s productivity improve, the best thing that you can do is to abandon the hierarchies, even your ego and build a team where everybody is appreciated and works towards the completion of one common goal. Have you ever noticed members of your organization who are less concentrated than the others and usually comprehend new information much slower? I bet you have once in a while. Well, don’t worry, usually, they are not drunk, but they may be lacking sleep due to burnout. It is evident that U.S companies lose about 60 billion dollars because of low productivity that is caused by sleep deprivation. This problem usually happens because of the culture in your company that might be unhealthy. Ask yourself these questions: “Is the workplace stress too much?”, “Do you overburden your staff with tasks that need to be finished after office hours?”, “Is the environment in your company unwelcoming?”. If you answered “Yes” to these questions, then you should act in order to reduce employee occupational burnout and thus make your company’s culture healthier. Well, there you have them – 9 of the most common reasons why your staff members are not as productive as you would like them to be in the workplace. Some of the stats, shown above, can be scary for businesses, however, there is no need to despair. All you have to do is take just a few of the things above, make sure that they don’t happen in your company and I promise you, that your employees will be more productive than ever!